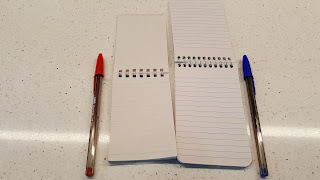 For years now (here's proof from 2005) I've carried a cheap, 3x5 spiral notebook in my pocket. Just give me the opportunity and I'll go on and on about how many times it has saved the day. 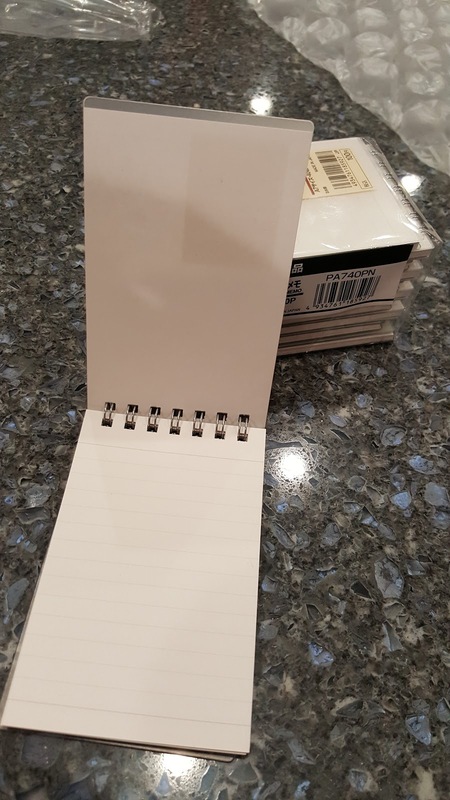 While I've occasionally been tempted to buy fancier notebooks, I've always come back to the most basic 3x5 notepad. 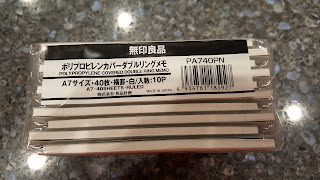 How could I possibly justify spending nearly $10.00 for a product that has exactly the same functionality as the $1.00 model. And besides, what if I did fall in love with a new type of notebook? Then I'd have to search high and low for it; whereas now, any grocery, pharmacy or office supply store has me covered. 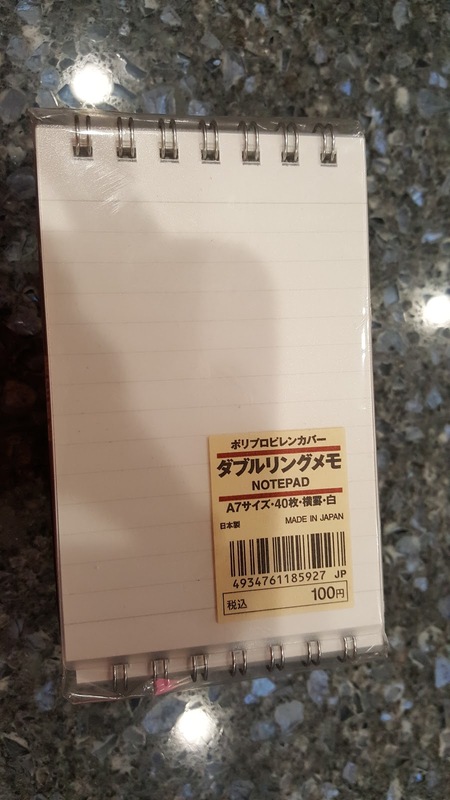 On a trip to San Jose I wandered into Muji, a store that specializes in Japanese products. Their paper and pen section was just too good and I walked out with a few of their notepads. Violating my long standing tradition of using only standard 3x5 notebooks I gave the Muji 40 page, A7 notebook a try. And alas, I fell for it. The A7 size means they are smaller and fit more places - in your front jeans pocket, a shirt pocket, in small pocket in your bag, etc.. 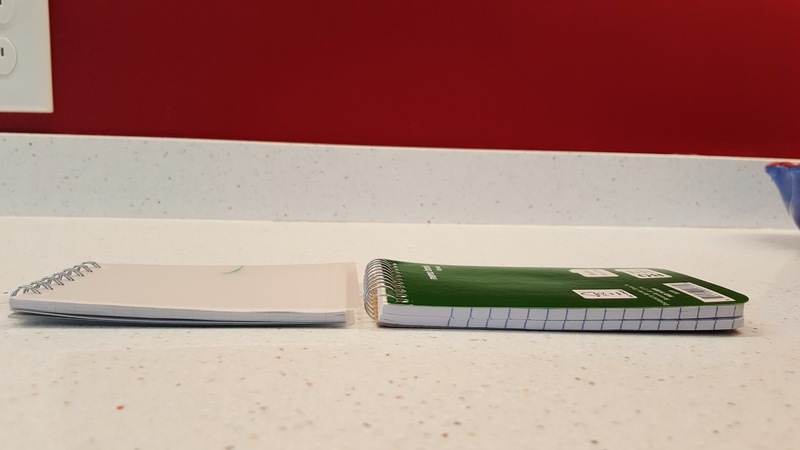 The smaller 40 sheet capacity means I go through the notebooks faster. I consider this a feature. 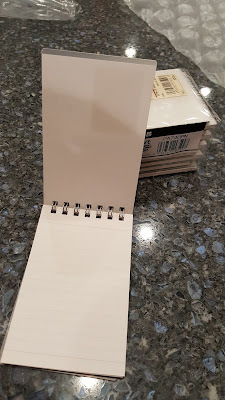 There's a special feeling that comes with starting a new notepad, and if I can get that feeling sooner, I'm sold. The plastic covers held up well. 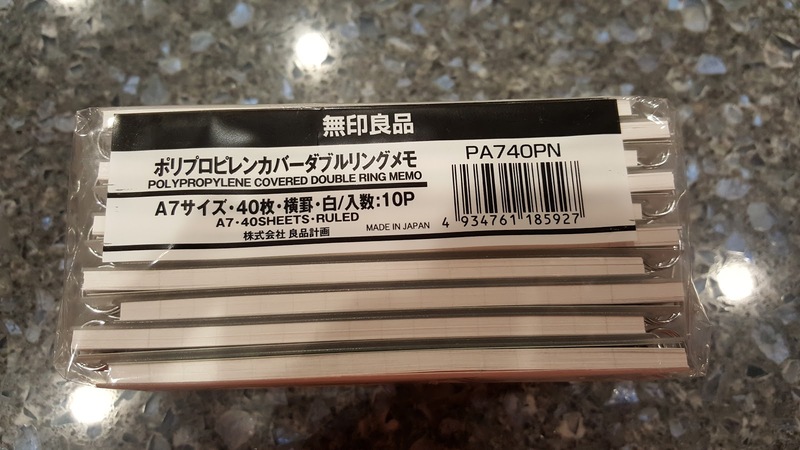 I'm convinced I'll figure out some way to leverage the clear plastic covers. Perhaps I can customize the notebook by putting a photo in the cover. Or maybe I should just tape a business card there as a form of identification. 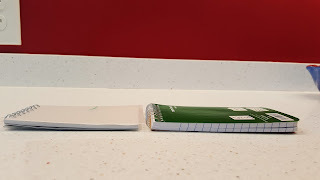 The double ring binding was sturdy and didn't get crushed like the simple spiral bound notebooks often do. This means that the pad is optimized not just for notes and TODO lists, but also for sketches, maps and other scribbles. At a 100 Yen per notebook, or a little over a dollar, they are an absolute bargain. At least I fell in love with an affordable notebook. 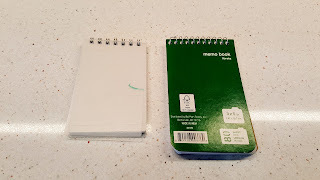 By the time I'd finished using the notebooks I had purchased in the store, I'd long since forgotten their brand. Luckily, Google Maps helped figure this mystery out. Using Muji's online store, I went ahead and purchased every last notebook they had in stock (12 of them, to be exact). 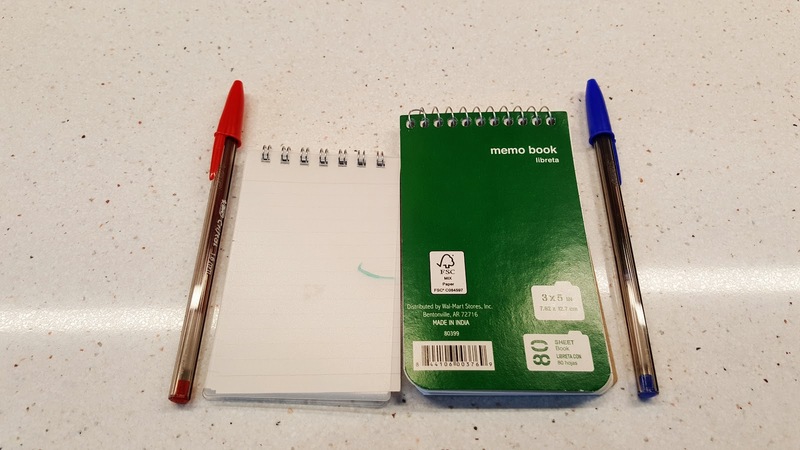 Which brings me to the last bit of irony in the story: the website is no longer offering these notebooks (here's proof they were). They do carry a related product, and they may get these back in stock soon enough. 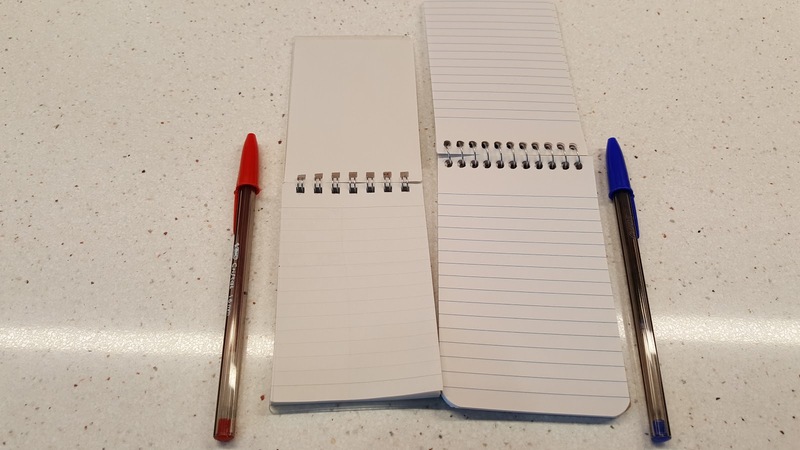 But still, for years I avoided specialty notebooks for exactly this scenario. On well, first world problems. So yeah, go ahead, ask me what good a pocket memo notepad is good for. I dare you.